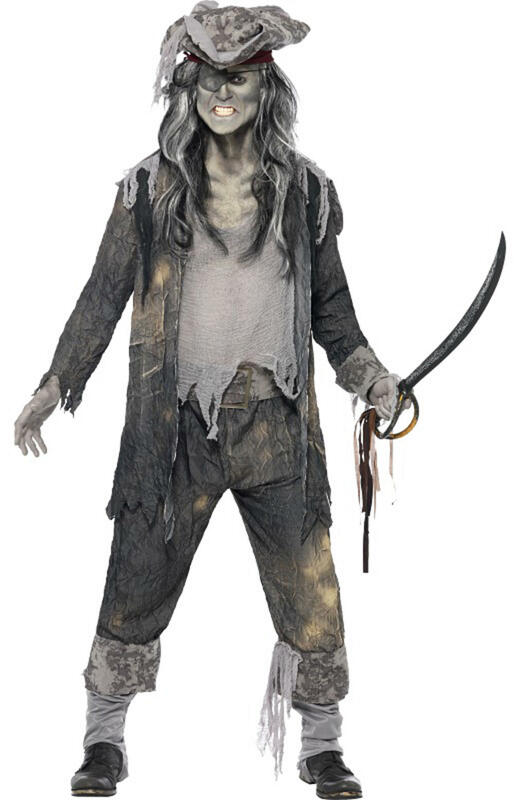 From Arrr to Boo, you’ll be the spookiest pirate in this Ghost Ship Ghoul costume. A ghoul pirate would wear this costume, which consists of tattered, worn coat and trousers. The matching grey hat will identify you as the pale, unearthly ghost you are meant to be. Haunt the next fancy dress party with Halloween and pirate themes.